The story has been told of two farmers praying for rain. 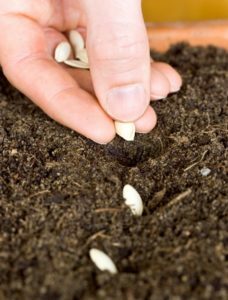 Yet, only one believed it would happen by preparing his fields and planting seeds before it rained. Do you believe the truths Jesus gives you while reading the Word of God will set you free? If so, as you plant them into your head and pray for them to come true, start praising Him now for the reality of a changed life. We are instructed to give thanks to the Lord for His love endures forever. Jesus loves you and wants to change your life for the better. If you believe this, then start thanking Him now for what He will do tomorrow through the truths He gives you today.